New York Times critic A.O. Scott has recorded several pieces on films coming out of Romania, called Romanian Cinema Rising, in light of the current hype surrounding Cristian Mungiu's 4 Months, 3 Weeks, and 2 Days. 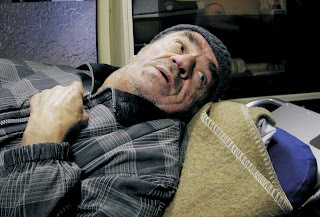 The films analyzed include Mungiu's 4 Weeks, Cristi Puiu's brilliant The Death of Mr. Lazarescu, Corneliu Porumboiu's 12:08 East of Bucharest (which I am still kicking myself for missing at last year's RiverRun Film Festival), Cristian Nemescu's California Dreamin', and Radu Muntean's as yet unreleased The Paper Will Be Blue.